This species is found in all oceans and seas of the world except in very cold waters of both poles. 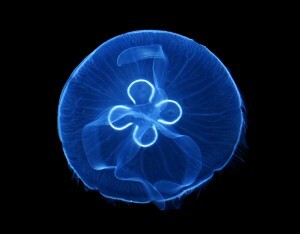 These jellyfish can be maintained in captivity provided you have an aquarium suitable for these. They have a life span of about one year, for as in nature, these jellyfish are born, grow, reproduce and die following the annual cycles of plankton. These jellyfish are stinging, so you can handle them without risk. We recommend you nonetheless to put gloves in case of skin problems (eczema, allergies, …).